Iran's foreign minister paid homage this week to a Hezbollah mastermind and an early mentor of Osama bin Laden whose terror tactics inspired the '98 embassy bombings. Coming on the heels of Iranian President Hassan Rouhani's declaration on Twitter that the "world powers [have] surrendered to Iranian nation's will," Zarif's gesture can be read as a thumb in the West's eye. Zarif decided to honor America's archenemy at a time when the U.S. and its allies are attempting to broker a nuclear deal with Iran that will reduce tensions. If that was not Zarif's intent, then he was especially careless. Mugniyah’s alleged role as the mastermind of the 1983 U.S. Marine barracks bombing in Lebanon, as well as a string of other attacks against American interests, has long been known. Iran’s “financial and material support” for Mughniyah and Hezbollah, as noted by the White House, is also well documented. But the influence that Mugniyah’s operations had on other terrorists, especially Osama bin Laden and al-Qaeda, remains underappreciated even to this day. In the early 1990s, al-Qaeda had not yet been transformed into an international terrorist network capable of launching spectacular mass casualty attacks. Bin Laden, who was living in the Sudan at the time, sought out the expertise of seasoned terrorists who could train al-Qaeda’s operatives. Mugniyah and Hezbollah, despite their theological differences with bin Laden, were natural choices. In fact, the Iranian-backed Hezbollah greatly influenced the evolution of al-Qaeda’s operations. Simultaneous suicide bombings were Hezbollah’s hallmark long before al-Qaeda made such attacks its modus operandi. And al-Qaeda’s most devastating attacks prior to 9/11—the 1998 U.S. Embassy bombings in Kenya and Tanzania—were directly modeled after Hezbollah’s attacks in Lebanon 15 years prior. Al-Qaeda terrorists have explained the logic behind Mugniyah’s relationship with al-Qaeda during testimony before an American court. In October 2000, al-Qaeda operative Ali Mohamed pled guilty to terrorism charges before a New York judge. Mohamed had long served in the Egyptian Islamic Jihad (EIJ), an organization headed by Ayman al-Zawahiri that would formally merge with bin Laden’s enterprise. Mohamed admitted that in late 1993 he “was asked by bin Laden to conduct surveillance” on various Western targets, including the American Embassy in Nairobi, Kenya, which was bombed five years later. Mohamed also admitted that he was there when the two master terrorists—Mugniyah and bin Laden—first met. “I was aware of certain contacts between al-Qaeda and [Egyptian Islamic] Jihad organization, on one side, and Iran and Hezbollah on the other side,” Mohamed told the court. “I arranged security for a meeting in the Sudan between Mughniyah, Hezbollah's chief, and bin Laden.” Mohamed went on to explain that “Hezbollah provided explosives training for al-Qaeda” and the EIJ, while Iran supplied them with weapons. According to Mohamed, al-Qaeda sought to replicate Hezbollah’s successful attacks. “Based on the Marine explosion in Beirut in  and the American pull-out from Beirut,” Mohamed explained, al-Qaeda sought “to force the United States to pull out from Saudi Arabia” using the “same method” —that is, simultaneous suicide truck bombs. The bombing of the U.S. Marine barracks coincided with an attack on a separate barracks used by French paratroopers. The 9/11 Commission found that al-Qaeda “had begun developing the tactical expertise” utilized in the embassy bombings when some of its terrorists, including “top military committee members and several operatives who were involved with the Kenya cell,” were “sent to Hezbollah training camps in Lebanon.” This is the same training described by al Fadl. And Ali Mohamed admittedly assisted the al-Qaeda cell in Nairobi, Kenya. The world has changed dramatically since Mugniyah and bin Laden first met in the early 1990s. Today, al-Qaeda and Iran are on opposite sides of the war in Syria. The relationship has been especially tense at times. At one point, al-Qaeda even kidnapped an Iranian diplomat in an attempt to force the release of some top operatives being held under house arrest by the Iranian regime. Understanding the state of relations between the two at any given point in time is inherently difficult. Despite their sometimes profound differences, however, al-Qaeda and Iran have repeatedly colluded. In July 2011, for instance, the U.S. Treasury Department designated several al-Qaeda members who operate under a formerly “secret deal” between the Iranian regime and al-Qaeda. The “network serves as the core pipeline through which al-Qaeda moves money, facilitators and operatives from across the Middle East to South Asia.” On multiple occasions since that designation, both the Treasury and State Departments have provided additional details on Iran’s agreement with al-Qaeda. The relationship between Iran and al-Qaeda has, therefore, outlived both Mugniyah and bin Laden. Mugniyah will always be remembered for the terrorist attacks that pushed American forces out of Lebanon in the early 1980s. But he should also be remembered as the terrorist who taught Osama bin Laden and al-Qaeda’s operatives his brutally ingenuous methods. When Iran’s Foreign Affairs Minister Khonsari bowed his head in remembrance of Mugniyah, he was commemorating a legacy that lives on to this day. The suicide bombings Mugniyah first engineered have been copied and improved upon by al-Qaeda and affiliated terrorists around the globe. 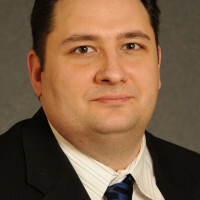 Thomas Joscelyn is a senior fellow at the Foundation for Defense of Democracies and senior editor of The Long War Journal.